When Mary P. Snyder represents your home, it will receive exposure to luxury buyers all over the world. Not only do our luxury listings appear on the powerful WSJ.com site, as an added feature, we showcase properties on MansionGlobal.com, a premier digital destination connecting the world’s affluent real estate buyers with prestigious properties across the globe. 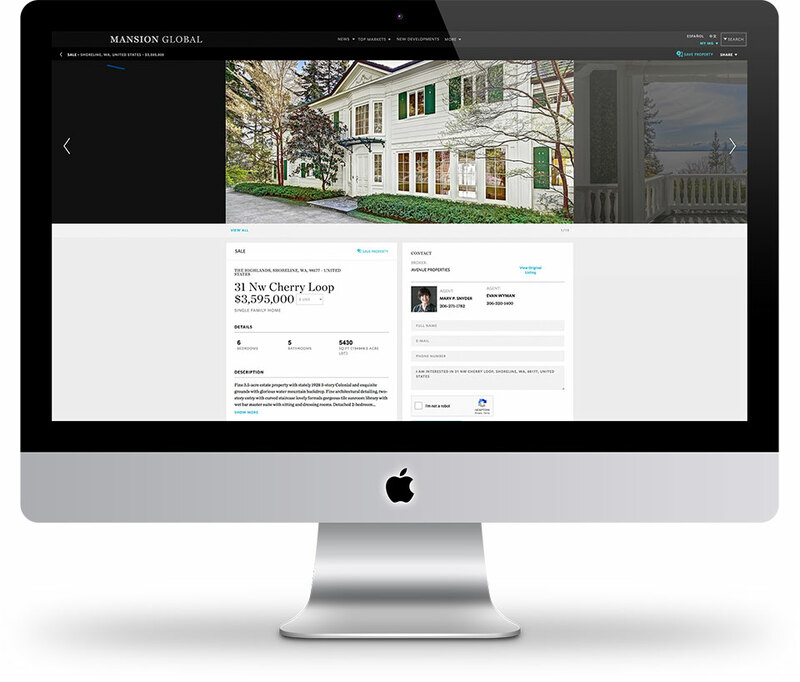 Mansion Global’s dynamic, digital-first format combines relevant, timely listings with compelling content. By seamlessly integrating property search and related news, the site is designed to empower the luxury buyer to make intelligent purchase decisions. The site features original content as well as news and information from News Corp publications and web sites around the world.